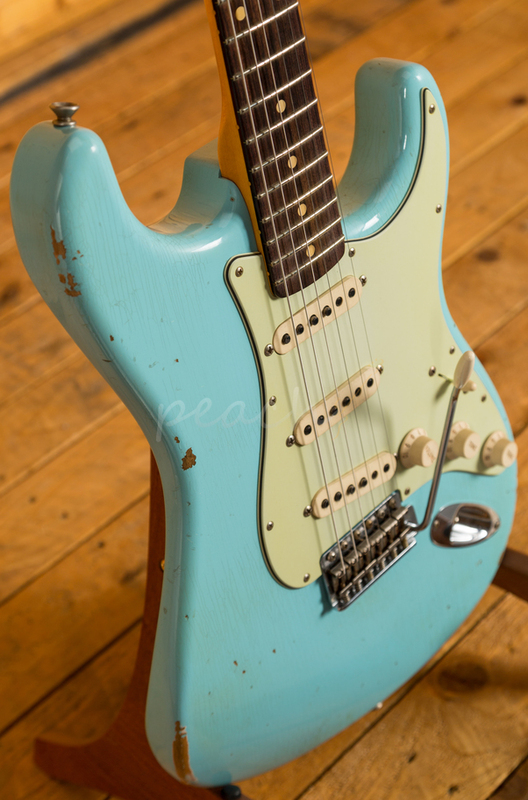 A traditional Alder body is finished in the iconic Daphne Blue, one of Fender’s all time classic finishes, it’s a real beauty! 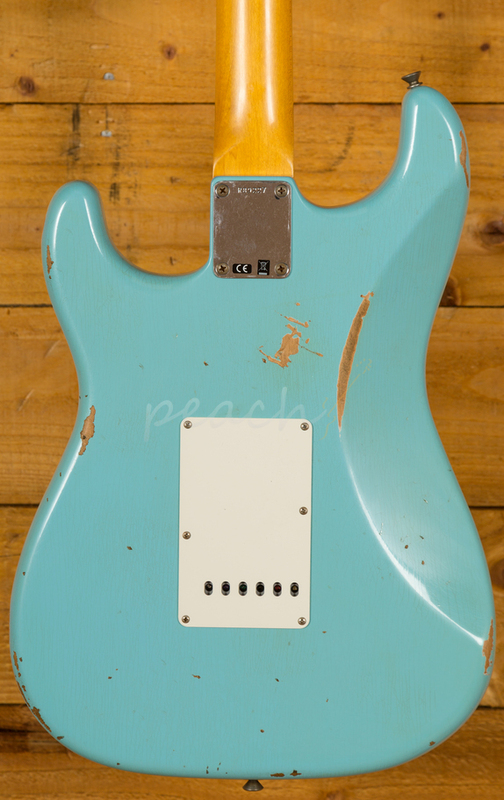 Authentically aged, this finish will wear beautifully with time and develop its own character even further. The thin nitro finish also allows the natural resonance of the body to sing and sustain much more effectively. 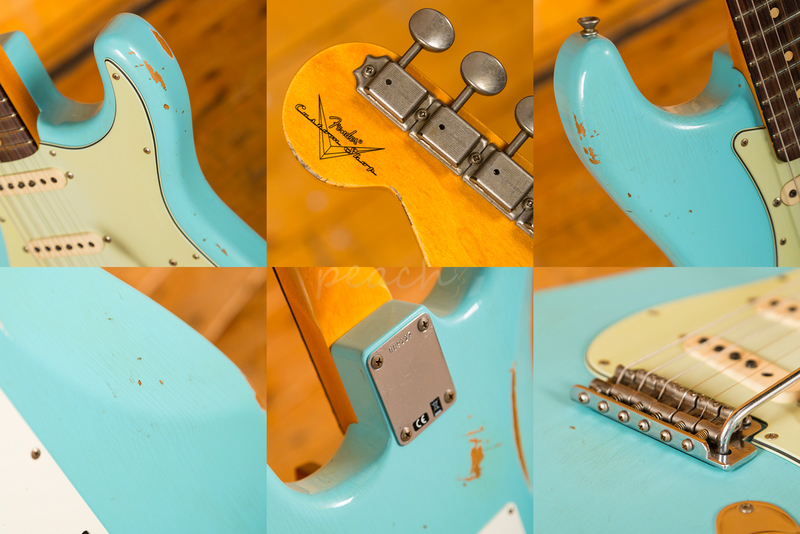 The ‘60s plain grain Maple neck has a smooth finish and an AAA grade Rosewood fingerboard. 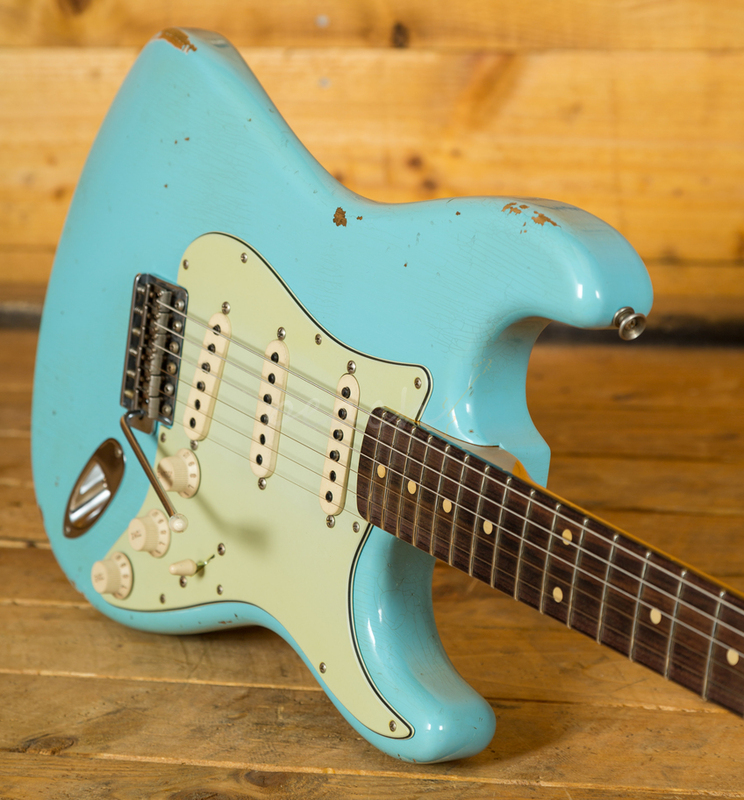 With a 10" radius and 21 medium jumbo frets, the '60 Custom Shop Stratocaster can handle anything you throw at it without even breaking a sweat; it's supremely comfortable and well balanced. 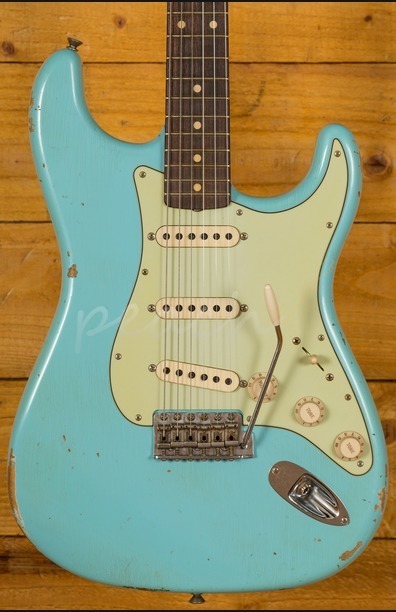 The ‘60 Strat oval C profile is a joy to play and offers a great platform for both rhythm and lead playing. With a trio of hand wound Fender Custom Shop Fat ‘60s pickups it delivers all the sweeping, versatile tones you would expect from a Strat. 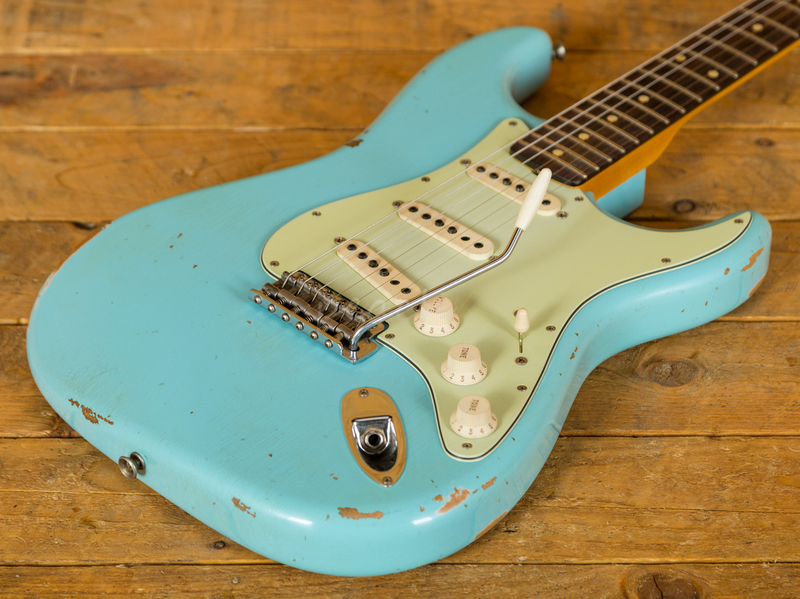 With a crisp harmonic content and a really refined and precise tone, the Fat ‘60s are some of the most versatile single coils around, a great choice for this guitar!